<span style="font-size:10pt"><i>I would thoroughly recommend anyone investing an hour or 2 of their time in going to along to a 'Stand out from the Crowd' workshop. Kristy and Shelley are great communicators with a huge amount of experience grafted from the 'real world' of what works, what doesn't and what just might. We're all time-short and expectations-high but I found that spitballing ideas with a lively group of people gave me some new ideas and reinforced others. <span style="font-size:10pt"><i>Great seminar. Very well done, with valuable sales and marketing tips delivered in an excellent way. 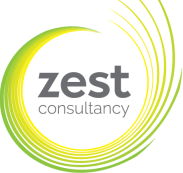 I would highly recommend Zest Consultancy and Mogstar to anyone who is interested in improving their customer base.